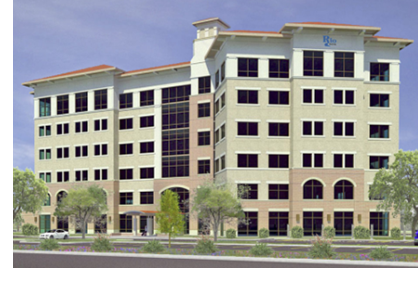 ​​ McALLEN – Rio Bank broke ground on a new corporate headquarters in mid-January 2018. The locally-based bank will relocate to the 9.5-acre site on the northeast corner of Expressway 83 and McColl Rd. when the project is completed. The six-story, 125,469-sf high-rise is expected to cost over $20 million, according to bank officials, and the bank will only occupy about a one-third of the building. The building was designed by RVK Architects, and G.W. Mitchell Construction will handle construction for the project. The office is scheduled to open by the second quarter 2019.